Good luck with the challenge, menu looks good, really good! I did this, Sandeepa. It worked wonders in terms of inches. We formed a small group and exchanged emails with recipes. I'm sure you don't need them ;) But let me know if you need some imaginative recipes :P I've done my share. Sorry for this. I read the post again. Pickle, Ketchup allowed. Marie not allowed. And no artificial sweeteners either :P Try flavoured green tea, Sandeepa. Sure sure do you have them on your blog ? Also did you stop at 7 days ? Now you ruined my day :( No Marie, no sweetened tea, wyahhhh !!! Sandeepa..LOVE the challenge! My Best Wishe's to You! Looking forward for your post on 27th..
All the best Sandeepa!! Huh, no grains? @#$%^, really tuff. veggie menu looks really good. BTW you can add minestrone soup to your list. Prepare it without pasta its a really wholesome healthy dish. I am following your blog for a very long time but never leave a comment . I am a bengali girl & love to read your posts on bengali culture & food. I can resambles myself with your posts & bengali recipes . All the best to you for this challenge . Looking forward for your post at the end of the week .I will also try for this callenge . Subho Nabobasho to you & your family . Good luck Sandeepa - any small effort we make towards living healthy is a good start! Wow this is some realy tough challenge. Good luck. So glad you are taking to this another level Sandeepa. I wish I could get rid of carbs too but with kids demanding sweets and bread, it's hard for me. Menu looks great. Best of luck to you, keep up the good work. Keep some besan flour, almond flour, coconut flour handy for impromptu pancakes or spicy cheelas. Add some thick pumpkin puree for sweetness instead of sugar. You can do it! I'm thinking about doing it. Maybe next week. I need my marie biscuit too with my Tea/coffee :) I was tempted when Rad's started this, but did not go ahead. Now you are tempting me again and N saying she saw results is icing on the cake. ooops, no sugars! I want to take this up atleast to get back on my workout routine. Been in a slump for waayyy too long. Oh, good luck, Sandeepa! I can do without sugar. But no grains and no eating out is tough. And working out everyday would be a challenge for me too. Good luck! You can do it! All the best with your challenge. May be I can try from next week! Now I already had my coffee, my breakfast,... I did some similar diet for week and works like wonders! hey sandeepa, it isn't too bad actually and for veteran chefs like you, this would be a breeze, coz frankly, I went a lil nuts trying to figutre menus out, which we helped each other out of course, but it was taxing. Had no idea you read me, thank you :-) Good luck, it's worth it! Did I have flour in the menu. I consciosuly & painstakingly avoided all "flour" while planning !!! Where is it hidden ?? Besan Chilla is ok right ? Let me check lentil pancakes at Deeba's. I don't eat meat or eggs, so I guess soy and beans will be the bulk. So veggie soups, sprouted beans, lentils. Pesarattu, dosa made from whole moong and Adai, mixed lentil dosa's (without rice) seem to be good options. I can't think of anything for breakfast though. You also have dhokla as an option... yellow mung bean cheela, green mung pesaradu like somebody mentioned.. I think I'm having a stupid moment right now... I have a huge blog post on what no-grains options are out there..
And chilas are perfect for me! Oh, if besan is ok :D we could eat microwave pakodas! yay! Ok, that was N from A&N - and delete my spammy comments if you wish. Good luck Sandeepa! Am tempted to try this ... but know will weaken very soon. Weekday Breakfast for me is cereal-milk. No savory stuff on weekdays :( So the Greek Yogurt works very well for me. I am new to blogging(feel free to visit my site) and just happened to see your blog.I like your seven day challenge.Reminds me of my dieting days.I do it for few days and then go back to regular pace again.Will try yours and see if it works this time.Good luck to you. Sandeepa.. follow ur blog from a long while.. read abt ur 7 day challenge... all the best... u may need to put up a before and after pix to motivate a lot of us.. u know as they say.. a picture is worth a 1000 words.. she-ki??!! Eto yummy patha'r mangsho theke shoja e ki jhamelaye phelcho nijeke? BTW, I guess Quinoa is agrain otherwise makes a good substitute for rice (not as yummy as bhaath but I like it more than ruti). High protein low carb. Check it out sometime. Went through your blog & loved it. 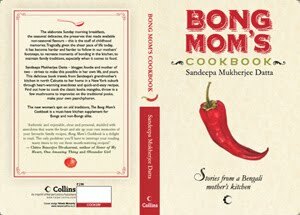 About myself in short :Born & brought up in Kolkata a non bong though,(settled in Singapore) love to eat bengali food. Came here in search of 'luchi aloor dum'. 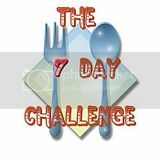 Found the recipe also but after seeing this 7 day plan i think I'll go for this first. Would be glad if you could share the recipe of 'kosha mansho'. I was under the impression that jhol was the light stew that villagers in Bangladesh ate, while curry was the more spicy and zesty urban version in which lots of a blend of moshola is sauteed, with a layer of oil floating on top of the gravy. Since I live in an apartment with a little kitchenette with no doors or windows, and have developed clogged arteries, I decided to eat oil free food. My solution was to prepare jhol in a crockpot in which I added every ingredient and let it slow cook. The dish looks like my concept of jhol and contains no added oil.